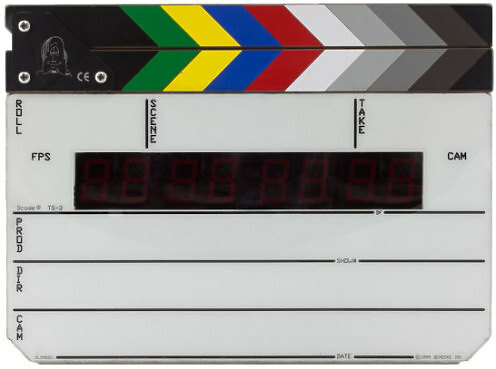 The Denecke TS-3 Digital Slate reads and displays SMPTE/EBU Time Code. An Internally mounted SB-2 Syncbox Time Code Generator, it jams to all standard frame rates, including 30 df. User bits jam automatically when the time is set. The high stability crystal ensures low drift and now comes standard with the TCXO option for extreme temperature ranges. The EL backlit display is particularly useful during night shoots and on dimly lit stages.